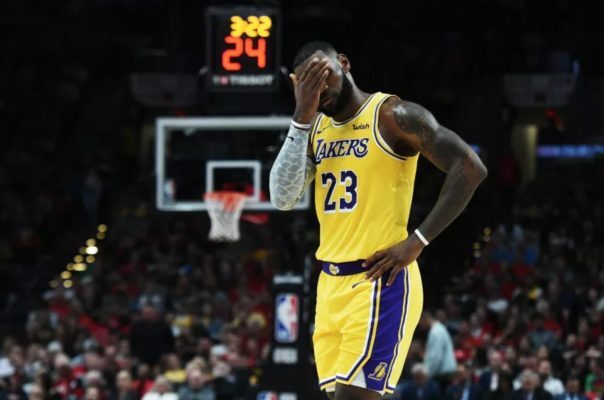 The league-wide ramifications of LeBron James leaving the Cleveland Cavaliers to join the Los Angeles Lakers weren’t originally expected to be so severe, but a new report indicates the Cavs’ current 9-37 record on the year has had a negative effect on the television ratings of the league as a whole. “As for Turner, its ratings started off very poorly without James at all on opening night, which contributed to a 42 percent (4.9M to 2.8M viewers) drop from a year ago, when it began with James against his just-traded former teammate, Kyrie Irving, plus other intriguing matchups. “Since the final whistle of its first game this year, Turner has been scrambling to come back, like an NBA team trying to reduce a big first-quarter deficit. It has made some strides and may make more, but it is hard to see Turner matching its excellent 2017-18 numbers. In contrast, the league’s NBA games on ESPN have only dropped five percent this season, while ABC actually saw a five percent jump for its trio of Christmas Day contests. The latter of those three games involved James’ Lakers facing the defending champion Golden State Warriors. The NBA season recently past its halfway point so whether or not this trend continues will be something to watch in the months ahead. As for Cavs fans, watching James in another uniform, no matter how painful that prospect may be, is likely better right now than watching the team he left behind.